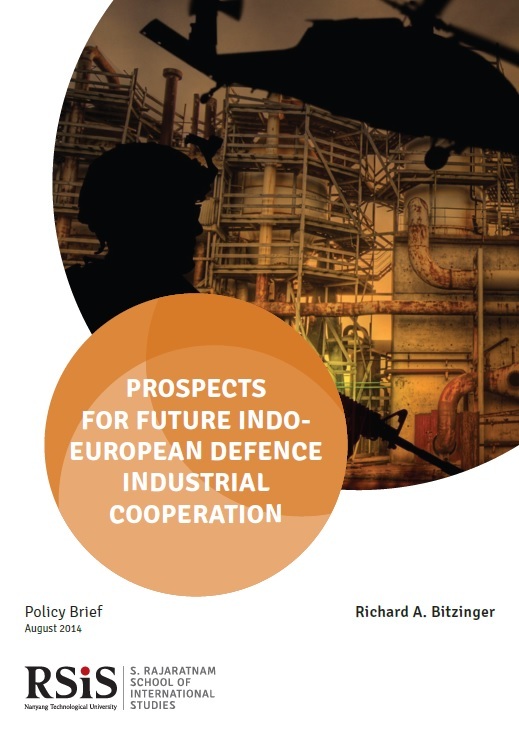 Expand their relationships with private Indian enterprises that are also attempting to expand their defense work; such Indo-European private joint ventures could boost European defense firms’ penetration of the Indian arms market. Improve their ties with traditional state-owned Indian defence firms, such as Hindustan Aeronautics and the Ordnance Factories, in order to exploit more traditional means of market penetration. Increase the quantity and quality of their offset arrangements, so as to make their products more appealing to the Indian government, which increasingly stresses technology transfers in its arms imports. Secure increased aid and assistance from their governments in marketing their systems to the Indian military as an added benefit. Take the long view (at least a decade or more) when it comes to expanding market share in India. In turn, New Delhi could also pursue policies and initiatives that, by encouraging expanded technology transfer and diversification of foreign arms suppliers, could benefit European arms manufacturers. These include expanding efforts to open up defense contracting to private Indian companies, encouraging more joint ventures with foreign defense firms, and permitting great foreign direct investment in Indian arms enterprises (the new Modi government has already embraced of these initiatives). Richard A. Bitzinger is Senior Fellow and Coordinator of the Military Transformations Programme at the S. Rajaratnam School of International Studies, where his work focuses on security and defence issues relating to the Asia Pacific region, including military modernisation and force transformation, regional defence industries and local armaments production, and weapons proliferation. Mr Bitzinger has written several monographs and book chapters, and his articles have appeared in journals such as International Security, The Journal of Strategic Studies, Orbis, China Quarterly, and Survival. He is the author of Towards a Brave New Arms Industry? (Oxford University Press, 2003), “Come the Revolution: Transforming the Asia-Pacific’s Militaries,” Naval War College Review (Fall 2005), and “Military Modernization in the Asia-Pacific: Assessing New Capabilities,” Asia’s Rising Power (NBR, 2010). He is also the editor of The Modern Defense Industry: Political, Economic and Technological Issues (Praeger, 2009). Mr Bitzinger was previously an Associate Professor with the Asia-Pacific Center for Security Studies (APCSS), Honolulu, Hawaii, and has also worked for the RAND Corporation, the Center for Strategic and Budgetary Affairs, and the U.S. Government. In 1999-2000, he was a Senior Fellow with the Atlantic Council of the United States. He holds a Master’s degree from the Monterey Institute of International Affairs and has pursued additional postgraduate studies at the University of California, Los Angeles.